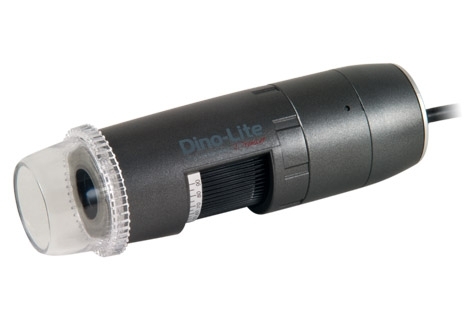 The Dino-Lite Premier AM5116ZTL, with rotatable polarizer and long working distance, connects to a VGA monitor using D-Sub interface with 720p resolution. With these features the AM5116ZTL can be suitable for applications such as: research, education, inspection, presentation, and more. The rotatable polarizer of the AM5116ZTL helps to suppress light reflections for delivering better clarity. It can be used in applications such as PCB repair, where the polarizer may help reduce glare for a better view of the soldering. The long working distance feature also assists by allowing more space under the microscope. Rendering at least 5cm space to work under it with magnification up to 90x.